On my recent jaunt to Paris, I had the pleasure of going as a guest of Dior Beauty for the launch of the Dior Addict Extreme Lipstick (my favorite Brit, Kate Moss, just so happens to be the face of the collection). My three day Dior stay was equal parts educational, inspiring, and extremely pampering (an hour and a half L’Ore de Vie facial and massage at the Dior Institut in the Plaza Athenee – I highly, highly recommend as this is pampering at its finest!). As part of the Addict Extreme launch, Dior chose a handful of bloggers from around the world to come to Paris for a day of makeup and photos at the Dior Couture Salon on Avenue Montaigne (above the Dior store). Before I discuss the lippies, let me digress briefly and share my experience of the Dior Couture Salon. In one word: magnificent. This is the place where many of the beautiful runway dresses, shoes and jewels go to live out the remainder of the their days. 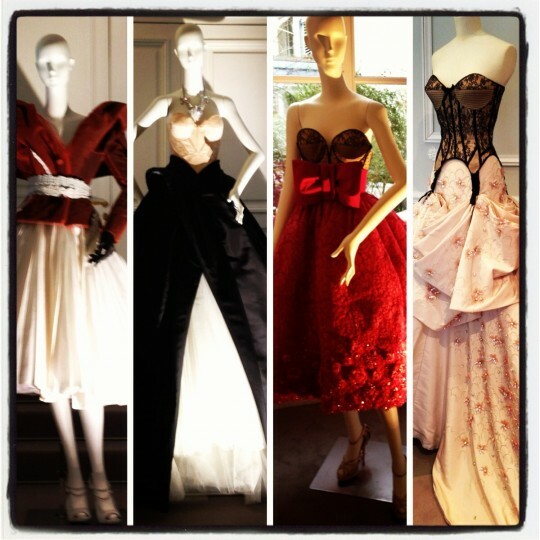 It’s like a Dior couture museum. From the 7 inch stilettos (that I tried to buy) to a breathtakingly fabulous aubergine tulle gown that was calling my name (I offered to try it on, they politely declined), to fur boas the color of candy and necklaces that weigh more than me, the Dior Salon is a place that speaks to the brand’s unbelievable longevity and heritage. The walls of the stairwells are adorned with photos – some of Mr. Dior, others of celebrities in Dior. One photo that caught my attention was an image of Marilyn Monroe in a beautiful black armless dress, cinched at the waist and billowed out at the skirt. She has several strands of pearls around her neck and looks as elegant as I’ve ever seen her. One of the men who worked at the Paris office of Dior noticed me studying the photo and explained that this was the last photo shoot of Marilyn Monroe ever taken. She is wearing Christian Dior. Chills. Enough couture, onto beauty. 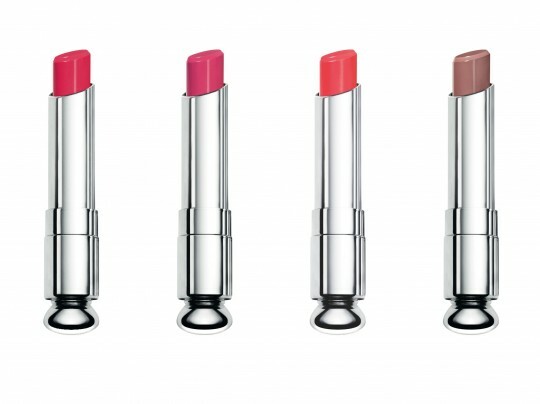 We were first instructed to choose a look – one of four – that went with the four color families represented by the 12 new Addict Extreme shades: Lucky, inspired by muse Kate Moss, is a sheer pink; Incognito, a discreet beige, is an homage to the chic Parisian woman; Plaza, a mauve shade, is inspired by the Plaza Athenee hotel; and Riviera, a bright coral, is an ode to sunny, island getaways. The other 8 shades all range within these color families (a spectrum of corals, mauves, beiges, and pinks – click here for all of the 12 colors). After choosing Lucky as my look (an obvious choice as anything Kate Moss and pink pretty much means I’ll love it) – very fresh and modern with a lovely pink pout and a subtle smoky eye – Dior makeup artist Violette went to work creating the look. A manicurist painted my nails a matching shade from the new Dior Vernis Lacquer colors (I don’t remember the last time I put a color on my nails but, hey, when in Paris, do as the Parisians do…). After makeup and nails were completed, I was introduced to the entire line of lip colors where I had the chance to play around with the shades and the consistency. Here’s what I love about the lippies: while the shades are incredibly colorful, the formula is somewhat sheer making the lipstick actually appear glossy rather than matte, and not too pigmented. If you want a deeper color, all you need to do is layer. I am a huge fan of sheer for spring and summer and, while I love a bold pink or a crisp red lip, I also like the option of wearing it sheer. 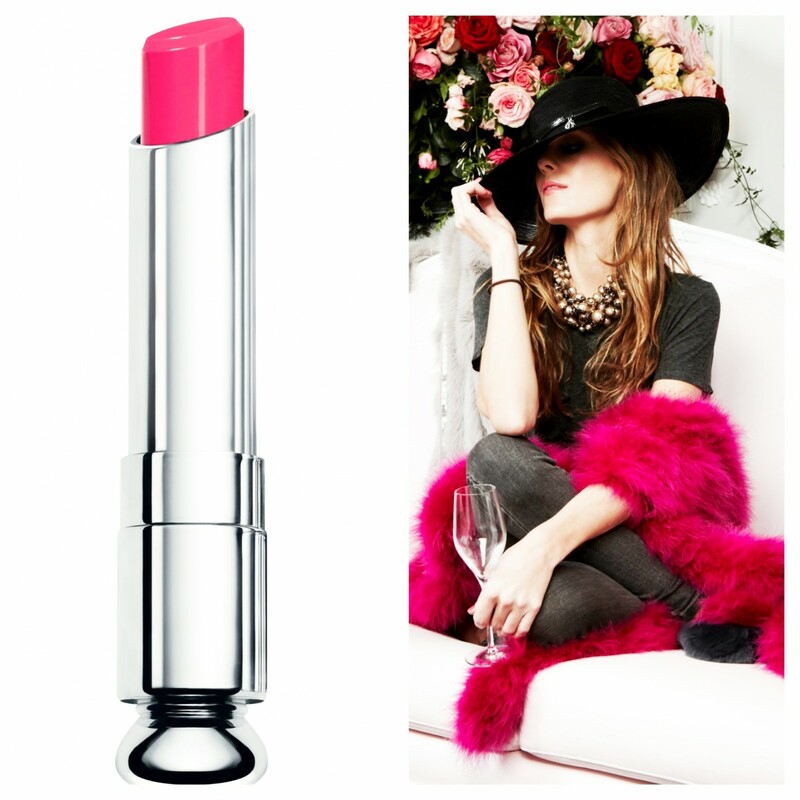 This lipstick allows you the ability to do both. And every single one of the 12 shades is completely wearable. There isn’t a single color that is trendy or over-the-top. Classic and classy, just as you’d expect from Dior. Then it was onto the photo shoot. A few props (necklace, hot pink boa, a wide-brimmed hat), a quick reapply of my Lucky lippy, and I was ready for my close-up! 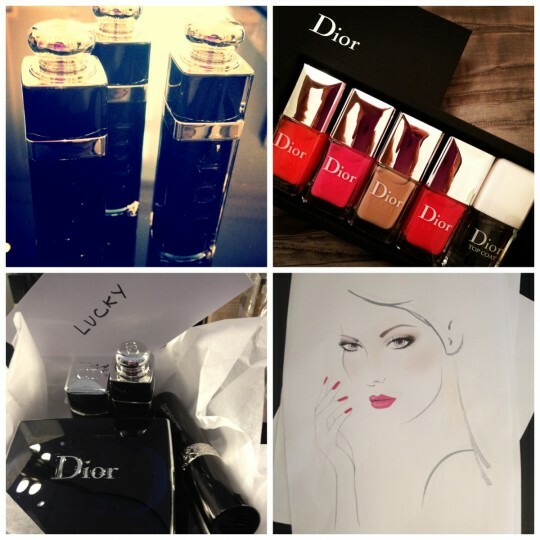 *BIG thanks to Bryn Kenny and the entire Paris Dior team.